The World Health Organisation has estimated that in Afghanistan over 54,000 women and children die each year as a direct result from indoor air pollution, while millions, more suffer from respiratory diseases, tuberculosis, asthma, cardiovascular disease, eye problems, and lung cancer.70% of the victims of indoor air pollution are children, under five as this age group spend prolonged periods of time with their mothers in, exposed to poor indoor air quality caused by the use of conventional household, cookstoves. 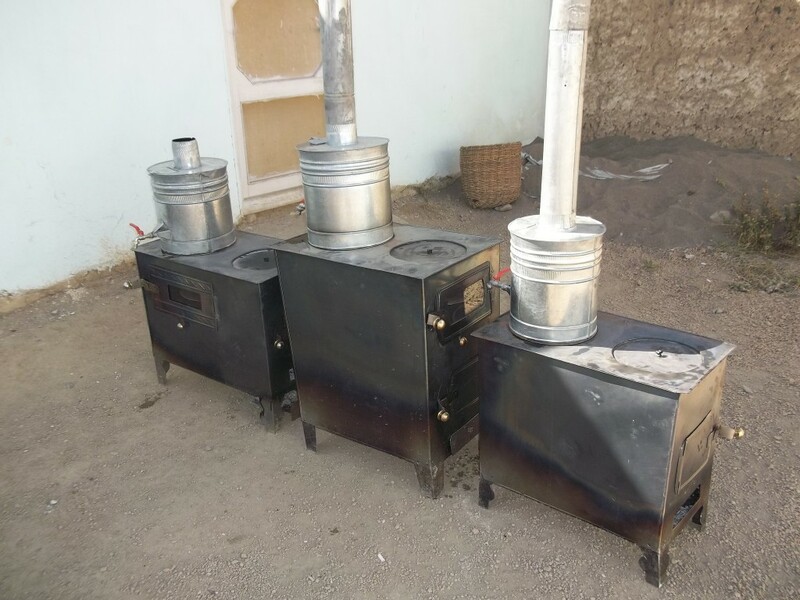 The burning of biomass by private households in conventional ovens poses a serious, health threat to Afghani women and children. It is also highly inefficient as it used, 50% more resources than the COAM Clean Cookstove. This adds unnecessary costs, for each household, putting additional pressure on already under severe households, pressure to sustain themselves. Because they use more resource (i.e. shrubs and rangeland plants), conventional ovens deplete soils of organic matter at a higher rate, than Clean Cookstoves, of nutrients, resulting in land degradation and reduced, grazing for livestock., Afghanistan’s reliance on biomass for cooking fuel will continue for several decades, to come; today, only 5-6 % of its 30 million people are connected to the electricity, grid and, in the rural areas, where around 70% of the population live, only 3% have, electricity. A mere 6% of the entire population has access to natural gas, primarily in urban areas. The most effective and efficient way to address this urgent problem is, rapid and widespread introduction of improved cooking stoves and technology. Clean, Cookstoves burn biomass much more efficiently and have additional benefits as they, are designed to draw off the smoke and its toxins, creating a safe environment for, women and children. In 2012, through partnership with communities and the government, COAM, implemented stage one of the Women and Natural Recourses, Clean Cookstove, project where four different designs of stoves and green technology was developed in, the COAM Design and Research Lab, led by a local innovator. These locally, appropriate and innovative designs, promoted the development, use, and, implementation of sustainable, locally-produced, clean technologies that improve, indoor air quality, individual health, and the livelihoods of women and children. They, also promote self-reliance, local sustainability, and reduce the negative environmental, impacts of deforestation for firewood collection. The Design team has developed three prototypes. The three designs were tested in the testing lab as below.